Are you looking after a salt water swimming pool at your house sit? A swimming pool of any kind is a common reason for a home owner to look for a house sitter. Swimming pools need regular care and maintenance, without which a home owner would probably return to a pool of green slime. This is not how you want your salt water pool to look! However, we have had a couple of questions recently about so-called “salt water pools”, and what extra considerations are involved. So first of all, lets dispel a myth. Salt water pools aren’t really very salty – it isn’t like a pool full of seawater. The salt isn’t, in fact, what keeps the pool clean and germ-free. Salt is added to the pool to aid in generating chlorine. And it’s this chlorine that most pools use to keep the water clean and safe. The salt used is sodium chloride, and a piece of additional equipment called a Salt Water Generator (SWG) turns this into chlorine whenever the pool pump runs. The advantage is that you have to add much less chlorine, a saving on chemicals and maintenance time. A possible disadvantage is that there is one more thing in the system that could potentially go wrong. One other advantage is that the water in a pool that uses an SWCG will be a little closer to the salinity of human tears and so won’t irritate your eyes as much. It’s often not realized that fresh water, because it lacks salt, is more irritating to the eyes, and sea water also because it has too much salt. 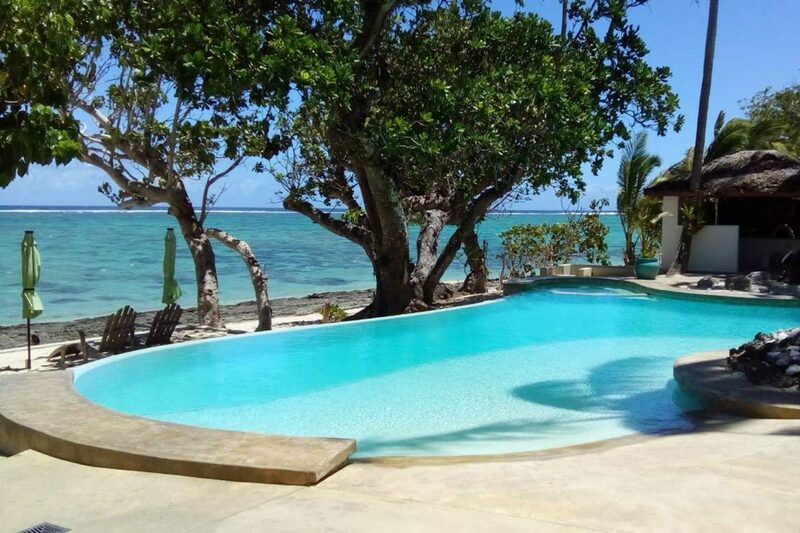 Is any extra maintenance needed with a salt water swimming pool? In terms of maintenance you will need to test occasionally for salt levels and add more when appropriate. This will need to happen about once a month or so, depending on the pool and how much use it gets. Of course this will be in addition to the other pool maintenance tasks that were detailed in our previous article about looking after pools (see link above). An SWG actually makes a pool very easy to maintain. When you run the pump for the required time each day, you simply turn on the SWG at the same time. An extra dose of chlorine is then created and added to the pool automatically. The more a pool is used, the more you will need to check and maintain chlorine levels, of course. The same goes for excessive or extreme rain water filling a pool beyond it’s normal water levels. At our house sit in Nicaragua last year the pool had an SWG. The system worked very well even throughout the rainy season. The pool was pumped for an hour or two each day, and extra chlorine added as and when necessary. So to sum up, a SWG makes life with a pool just a little bit easier, and there isn’t anything extra to do other than to occasionally do a test for salt levels, and pour some more in if needed. Looking after a pool while house sitting is a big responsibility, not to be taken lightly. Refilling a pool after a chemical imbalance can be costly and wasteful of water. Make sure you are honest about your skills and experience and never bluff your way through a sit with a pool. Especially on a long term assignment where there’s more time for things to go wrong. Always follow the advice of the home owner. They usually know the setup of their pool better than anyone and understand their location’s climate considerations. If they say the pool needs 5-6 hours pumping per day, that’s what you should do. A well maintained pool shouldn’t be difficult to manage and it provides a lot of fun during your house sit, and is especially welcome in a hot tropical climate! 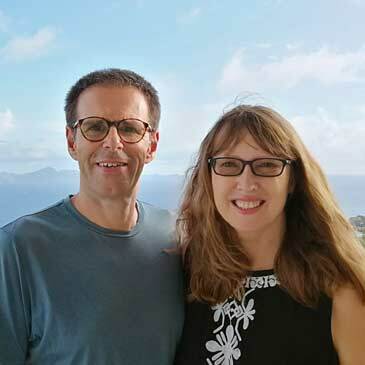 We are Vanessa and Ian, a full-time house sitting couple, passionate about house sitting and travel. As early retirees we've been on the road now for 6 years, house sitting our way around the world. With over 60 completed house sits, we've lived temporarily in countries like Australia, Fiji, Mexico, Panama, Nicaragua, the UK and Europe. If you want to know more about getting started with house sitting, then you've come to the right place! House sitting is our passion, and we want to help you make it yours! If you love pets, enjoy travel and being part of a sharing community, then this is the place to discover more about international house sitting and nomadic travel lifestyles. Find out how you can become a full or part-time house sitter, or find a sitter to look after your pets while you enjoy your own adventures. This is a resource for pet lovers and travelers. House Sitting Magazine is where you’ll be inspired, informed and educated about best practices and due diligence. 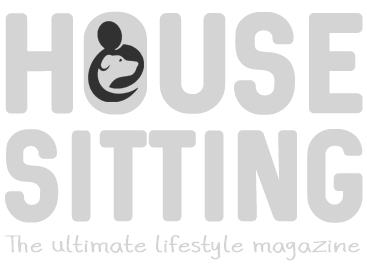 Download our bi-monthly magazines, or check out our “start house sitting” options on the menu.